By Megan Hitchock (University of Western Australia, Perth, Australia). I’m on a flight out of Perth, and it’s not for a holiday, and I don’t have a return flight. This feels very weird. My exams finished last Thursday, and since then it’s been a rollercoaster of emotions. I was so happy that exams were over and I could finally enjoy being in Perth without the constant exam stress, but exams being over meant that my time in Perth was coming to an end. It’s so sad knowing that so many of the wonderful people I’ve met I’ll never see again, and so many I will see but not for a long, long time. Although I was told that these were not goodbyes, they were ‘see you laters’, they were still very hard. However, they came with lots of promises of visits to the UK and I had to promise that it wouldn’t be too long until I was back, so hopefully those promises will be kept! 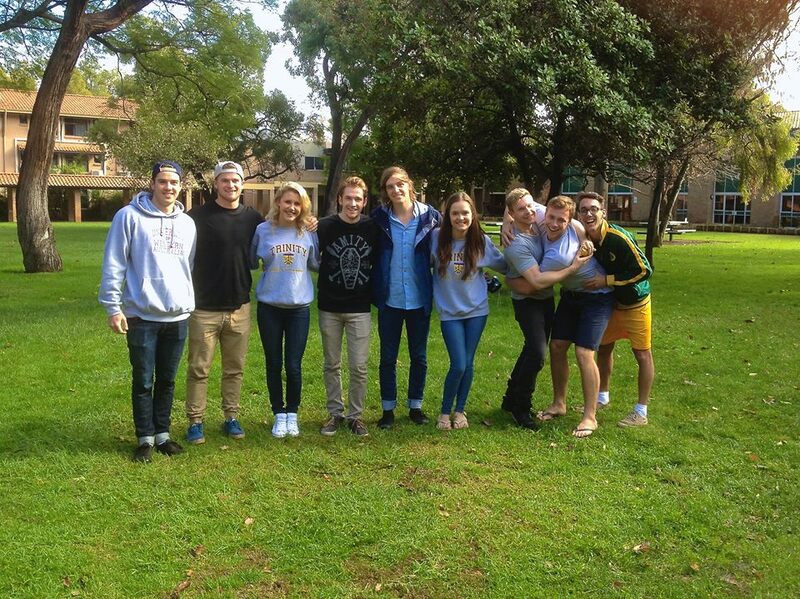 Although this isn’t the end of my time in Australia – I’ve still got six weeks to go – I just thought, while it was fresh, I’d reflect on my study abroad experience in Perth. I know I was the first study abroad student coming to Perth from Manchester and I hope I can encourage many more students to choose the University of Western Australia. I couldn’t have had a better Australian study abroad experience and I really feel I’ve gained so much from being here rather than on the east coast. I have spent a year living twenty minutes from the beach; ten minutes from Swan River and bus rides into town have been spent watching out for dolphins in the water – what a life. I have had the opportunity to see more of Australia than most of the people I know. The West Coast is honestly one of the most beautiful areas I have ever been to, and being able to say I’ve been to places like Esperance, Karijini National Park and Exmouth is something I will always treasure. 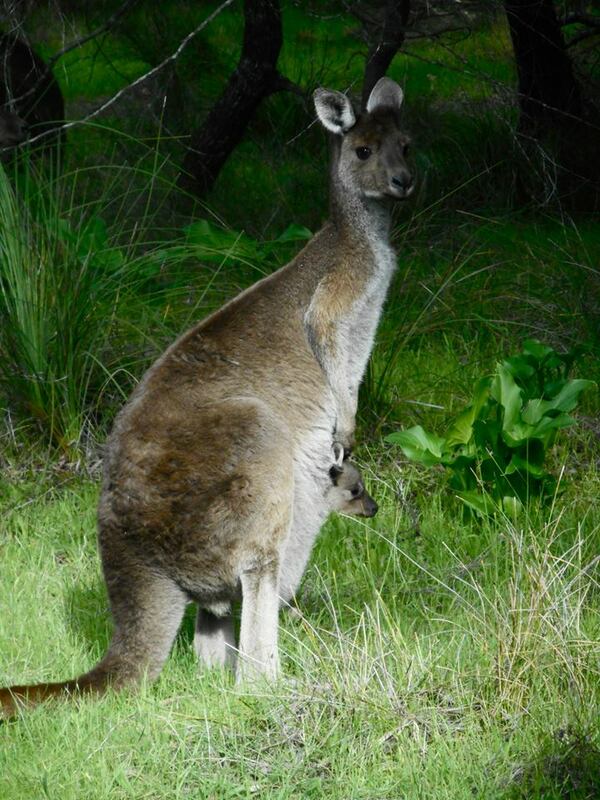 Not many other places you visit you can say you’ve seen a family of emus on the side of the road, wild dingoes, wild horses, lizards, camels, sea turtles, and you can feed wild kangaroos on the beach! The fact that Perth is so isolated does not matter. It’s only made me more determined to travel. I have spent the year getting any jobs I can to be able to afford to do all the travelling I’ve wanted to do, and it’s made the whole experience so much more rewarding. Honestly, as cliché as it is, I’ve had the time of my life. 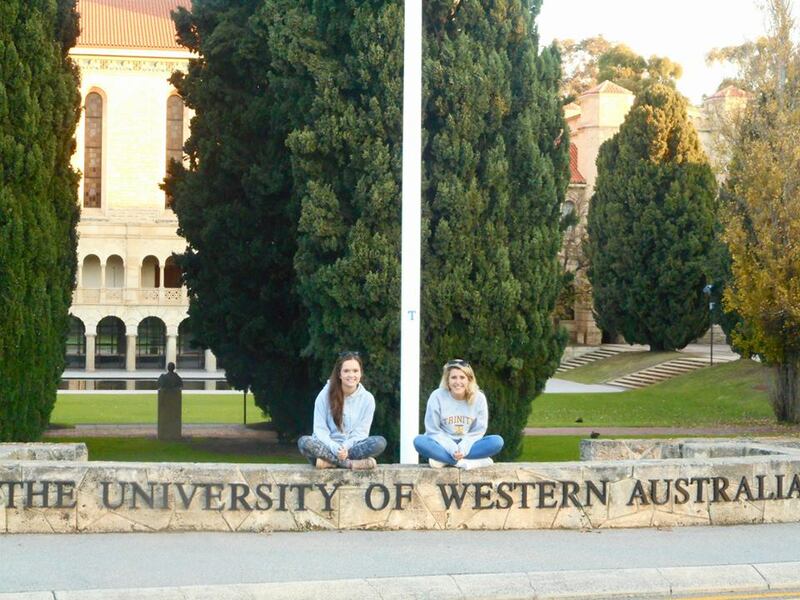 I feel so privileged to have been able to spend a year studying at the University of Western Australia. Walking in each day to such a beautiful campus, right next to Swan River has been so special. I’ve learned so much about psychology and Australian culture. Psychology-wise, I feel like I’ve achieved what I set out to – I’ve explored so many different avenues, broadened my spectrum of psychology knowledge and risen to every challenge I’ve set myself. I really do feel ready for what final year has in store and to really work to get the degree I’m aiming for. I really feel that my year abroad has given me this drive and a new-found love for my subject. 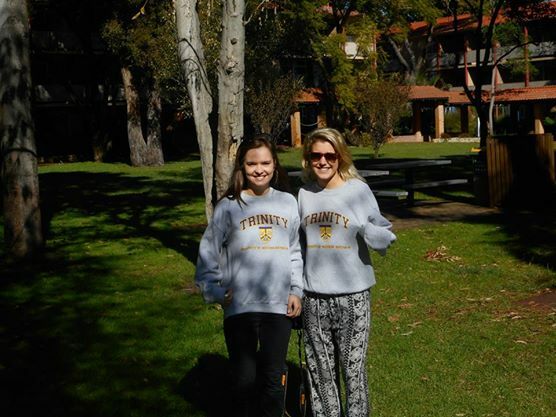 None of this experience would have been anywhere near as rewarding without Trinity College. I cannot recommend it enough to anyone considering studying abroad at UWA. The college environment is so supportive; the admin staff at Trinity have been a second family to me and the friends I have made there are second to none. I don’t think you can understand college environment coming from the English ‘halls’ system. Coming from 1500 people in Owens Park, and being just a number to being one of 350 in Trinity where the staff know everyone by name, always want to know what you’re up to, and will go out of their way to help you in whatever way they can, is a very special experience. They’ve even asked to be invited to my wedding, whenever that will be! 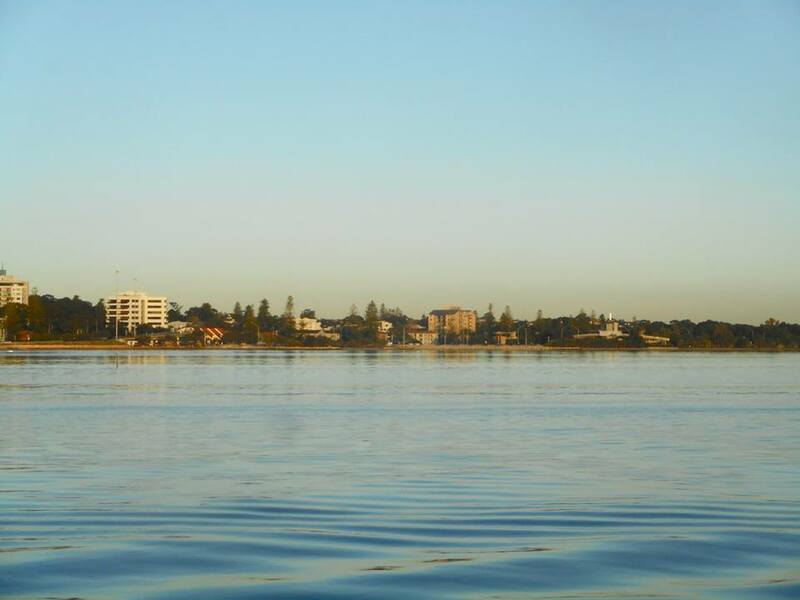 It’s really helped in terms of feeling so settled in Perth; from day one I had people around me and felt so welcomed. Trinity really is a very special place. However, although my time in Perth has come to an end, my last chapter of my year abroad is only just starting. Sydney, see you in a couple of hours, and Perth – I’ll be back.